Shepherd’s Hope, in partnership with Nemours Children’s Health System, is hosting its fourth annual Back-to-School Physicals initiative for local uninsured and underinsured children. Appointments can be made for all service locations by calling 407-876-6699 ext. 243. Physicals and other medical services will be provided at Longwood Shepherd’s Hope Health Center (Sharing Center Plaza 600 North US 17-92, Longwood), August 3 and 9, from 9:00 am to 12:00 noon. Physicals will be provided at Dr. Diebel, Jr. Memorial Shepherd’s Hope Health Center (Samaritan Resource Center, 2008 North Goldenrod Road, Orlando), August 1 and 10, from 6:00 to 9:00 pm. Physicals will also be provided at Downtown Shepherd’s Hope Health Center, Orange County Medical Clinic (101 South Westmoreland Drive, Orlando, FL 32805), on August 2 from 6:00 to 9:00 pm. To qualify, children must be under age 18 and uninsured. The required Florida Department of Health form (DOH 3040) will be issued following completion of the physical examination, which meets the Florida state requirement for enrollment in public or private school. Appointments must be scheduled in advance. Click here for more information. In Jewish Rabbinic teachings, the rationale for doing acts of kindness for those in need isn’t just to benefit the recipients. The act of giving also meets a spiritual need within the givers. So no one can do an act of kindness without the resultant blessing going in more than one direction. In the context of that little “sermon,” it seems appropriate to remind some and inform others that Orange County Public Schools, with its extreme diversity and many challenges, has a great need for tutors, mentors and others in assisting roles in which people from the community help students—and entire schools—achieve excellence. And it’s especially helpful to OCPS when an already-existing community organization does all the coordinating within its own infrastructure. Faith-based organizations already have just such an infrastructure. Learn how your house of worship or your community organization can “adopt a school.” Click here for more information. August 8: Faith and Religion: Does God Intervene or Smite? 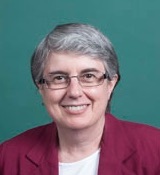 Dr. Jean Sheldon, Professor of Old Testament at Pacific Union College in Angwin, CA, willpresent three times to the Central Florida Adventist Forum the weekend of August 4 and 5. Her over-arching topic is: “Two Conflicting Voices: A Canonical Approach to Solving Ethical Issues in Sacred Scripture.” Venues and times for her presentations are: 7:00 pm, Friday, August 4, and 3:00 pm, Saturday, August 5, at the Graduate Building, Adventist University of Health Sciences (671 Winyah Drive, Orlando, FL 32803); and, between the two foregoing presentations, 10:00 am Saturday, August 5, at Florida Hospital Seventh-day Adventist Church (2800 North Orange Avenue, Orlando, FL). Having earned a doctorate in Near Eastern Religions in 2002 from the University of California, Berkeley, Dr. Sheldon reads Jesus’ Bible through the lens of a deep familiarity with what Israel’s powerful neighbors wrote and thought. The results bring rich insights to familiar and troubling texts. Dr. Sheldon has wrestled long and hard with the challenges of violence, abuse, theodicy and ethics in the Bible. Click here for a recent interview with her, titled “Making Sense of a Vengeful God.” Dr. Sheldon’s most recent book is: No Longer Naked and Ashamed: Discovering that God Is Not an Abuser. The public is invited to join Awakening/Art & Culture in association with the Peace Institute for an event focused on ways to abolish the dangers posed by nuclear weapons. 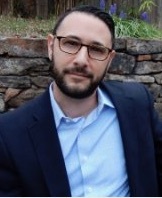 The event (the 6th Annual Abolition 2020—Hiroshima/Nagasaki Commemoration) will feature as guest speaker Vincent J. Intondi, history professor, director of the Institute for Race, Justice and Community Engagement at Montgomery College, Maryland, and author of: African Americans Against the Bomb. The event , which is free, will be held on Sunday, August 6, from 6:00 to 8:30 pm at the Islamic Society of Central Florida (1021 North Goldenrod Road, Orlando, FL 32807). Register at Eventbrite. Learn more about how A Nuclear Weapon Free World is in our Common Interest. Now here’s a question never before addressed at the monthly Interfaith Discussion: Suppose you adopt a child whose parents have died. They had a strong commitment to their faith—a faith different from yours. Clearly, they were seeking to have their child brought up in their faith, though they left no legal directives about the child’s spiritual nurture should they demise. On the basis of your faith’s teaching, what is your obligation? Should you seek to raise the child in the biological parents’ faith? In your faith? With some exposure to both faiths? In no faith? Do you have any ethical, moral, spiritual obligation to fulfill the spiritual vision for the child that was held by those who initially chose to accept the responsibility of parenthood and bring the child into the world? And what if the adopted child is old enough to have already begun significant participation in the faith of the biological parents? What about religiously sponsored orphanages? Do they have an innate right to proselytize every child that comes under their care? These are just a few of the questions that will get the ball rolling at the Interfaith Discussion on Wednesday evening, August 9, sponsored by the Interfaith Council of Central Florida. The discussion is held from 7:00 to 8:30 pm on the second Wednesday of each month at Adventist University of Health Sciences (671 Winyah Drive, Orlando, FL 32803) on Florida Hospital’s main campus. The exchanges are respectful, open and candid, and the participants represent a variety of faith traditions as well as those who question the validity of faith altogether. For directions to the meeting place, click here. Admission is free. Everyone is invited. 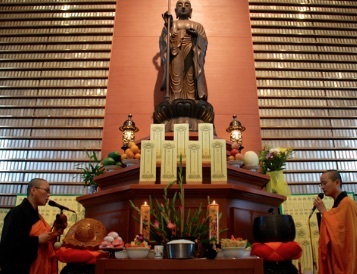 If you happen to be in the vicinity of the Orlando International Airport and have some time on your hands, check out one of Central Florida’s under-visited sites of beauty and serenity—Guang Ming Temple (6555 Hoffner Avenue, Orlando, FL 32822). A reviewer on Yelp describes it as: “A magnificent place for . . . gawkers looking for a taste of Asia and for serious students of the complex Buddhist philosophy. This monastery, open daily except on Mondays, has a vegan tea/snack room, bookstore and library, meditation hall, main shrine room, dining hall, a memorial hall / columbarium and classrooms. For the tourist, a large statue of the seated Shakyamuni Buddha is the unmissable centerpiece of the main shrine room, while other statues and calligraphy and Chinese artwork adorn many nooks of this impressively-built monastery. . . . For those more interested in learning about Buddhism rather than merely touring, Guang Ming Temple (part of Buddha’s Light International / International Buddhist Progress Society) has weekly classes in either English or Chinese for both novices and experienced practitioners. . . .” You can read more visitor reviews at Yelp or check out the temple’s website. The City of Orlando is seeking mentors for local activites of a nationwide program called My Brother’s Keeper. Launched by President Barack Obama, MBK is a national initiative that addresses persistent opportunity gaps faced by young men of color, with the aim of ensuring that all youth reach their full potential. The City of Orlando joined the MBK initiative in 2014, and since then has been implementing a cradle-to-career strategy. To find out more about the program and how you can become involved, click here. Orange County Public Schools also sponsors MBK at specific schools. Click here for a brief video about the OCPS program. The New Hope for Kids Center for Grieving Children (544 Mayo Avenue, Maitland, FL 32751) is offering training in August for any wanting to become a volunteer grief-support group facilitator. The Center for Grieving Children provides grief support for children and families who have experienced the death of a loved one. The program helps children, teens and young adults cope with their grief and loss through the sharing of stories and experiences, as well as art, music and recreation. A one-year commitment is requested for volunteers, and a pre-interview and tour of the facility is required. The next 25-hour training program will be offered on August 12 and 13, 2017. For more information, visit the New Hope for Kids website, contact Gloria Capozzi or phone 407-331-3059 ext 15. Download the volunteer application here. Hindu Society of Central Florida to Host Cultural FestivityThe Hindu Society of Central Florida will celebrate India’s Independence Day on Sunday, August 13, from 12:00 noon until 2:00 pm, in its Community Hall (1994 Lake Drive, Casselberry, FL 32707). The event will feature Indian culture and distinguished speakers, followed by Indian snacks and hot tea/coffee. The public is invited and the event is free to all who RSVP by email no later than August 6. For more information phone 407-699-5277. Hindu University Study Group to Celebrate Anniversary The Sri Aurobindo Study Circle invites the public to attend the celebration of its first anniversary, on Tuesday, August 15, from 5:00 to 6:00 pm, in the Oxford Room at Hindu University of America (5200 Vineland Road, Suite #120, Orlando, FL 32811). The aim of the Study Circle is to develop a regular platform to discuss, disseminate and reflect on the ideas of Sri Aurobindo, an influential Indian philosopher, freedom fighter, poet, mystic and yogi. 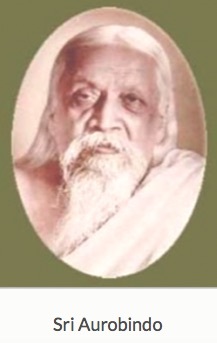 The date is also the anniversary of the birth of Sri Aurobindo as well as India’s Independence Day. The celebration will highlight the contribution of Sri Aurobindo, Indian culture and Hindu spirituality. The event is free and open to all. For more information send an email or phone 407-275-0013. Check HUA’s website for other events and classes in which the public can participate. Religion News Service recently ran an article, titled How Religious Literacy Can Save Lives, about how medical practitioners can be more effective if they have a basic understanding of issues that might be of concern for those of different faith traditions. The article is well worth reading—even if one isn’t part of healthcare delivery. For a comprehensive treatment of the subject, Florida Hospital has produced a major book on the topic, titled Personalizing Patient Care, by Aurora Realin. The book offers specific insights into: “20 of the world’s most prevalent religious groups; 20 of the widest-spread cultural groups; 7 of the most common disabilities; and 4 distinct generations.” The book can be purchased from Florida Hospital Publishing. The book’s usefulness and applicability isn’t limited to healthcare. ‘Tools for Back to School’ Campaign Under Way Soon the 2017-2018 school year will be starting in Central Florida. But because of poverty, thousands of students would not have basic school supplies were it not for community organizations that step in to fill the void. A nonprofit called A Gift For Teaching raise funds, buys supplies and ensures that students receive them. The organization’s vision is “to ensure every child has the tools and experiences to succeed in school and life.” To make sure the word about the program gets to both donors and potential recipients of the school supplies, News 6 has become a partner. As has Publix, whose stores are fund-collection centers where clients are invited to contribute $5.00 or more when buying their groceries. The campaign will end August 17. When It Comes to Death-Penalty Statistics, Florida LeadsFlorida Governor Rick Scott has ordered the execution of Mark Asay for Thursday, August 24, at 6:00 pm—which would be Florida’s first execution in 18 months. Governor Scott has already broken the record for most executions under a Florida governor—23. And in a tragic twist of irony, Florida also holds a national death-penalty record: Last month Ralph Wright Jr. became the 27th Florida Death Row survivor to be exonerated—far more than any other state. The nonprofit Floridians for Alternatives to the Death Penalty is rolling out a new awareness and action campaign called “Don’t Kill for Me—Stories of Life Over Death,” which features the stories of Florida Death Row survivors who’ve been exonerated, family members of murder victims and others who’ve directly experienced the devastating effects of the death penalty. Click here for interesting statistics from The Innocence Project about the role of DNA in exonerations. HOPE Helps Offering Summer Matching Incentive Want to contribute to a well-established community-service organization? Want your money to double instantly? Then the Double Your Impact summer-donation matching incentive at HOPE Helps may be right down your alley. A donor who has pledged to match all new donations, up to a combined total of $25,000, for donations through August 31. Just visit the organization’s website and make a new monthly pledge or one-time donation. If your employing company matches your donation (as some do), you could even quadruple your impact in helping local individuals and families in crisis. The mission of HOPE Helps, Inc’s is to prevent and reduce homelessness in Central Florida by equipping individuals and families to become self-sufficient through Housing, Outreach, Prevention and Education. Click here to view volunteer opportunities. Bach Festival Society Featuring Array of Great MusicWhether you’re an accomplished singer who’s prepared to commit a significant investment of time to join as a performer, or whether you simply like to sit back and listen to beautiful music, and whether your preference is for large choirs and orchestras or small groups and solo performances and whether your taste is for vocal or instrumental, the Back Festival Society probably offers a good selection of what you’re looking for. And if you like all those categories and more, the Society definitely will raise your level of joy. Tickets for the season are on sale, for many performances will sell out quickly. So go to the Back Festival Society website, peruse their calendar of events, get the dates marked on your calendar, and take full advantage of this exceptional musical organization right here in our own community. Through September 8, the Holocaust Center (851 North Maitland Avenue, Maitland, FL 32751) will feature an exhibit titled “A Place for All People,” which celebrates the opening of the Smithsonian’s National Museum of African American History and Culture. The exhibit presents an evocative narrative about the rich history of African-Americans and explores their deep and lasting contributions to the American story. 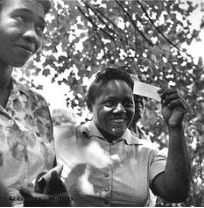 The poster exhibition being featured at the Holocaust Center includes famous figures such as Martin Luther King Jr., Shirley Chisholm and Ira Aldridge to emphasize the ways in which they shaped American history. Also being featured until September 8 is an exhibit honoring the Tuskegee Airmen. Despite risking—with many losing—their lives for their country, these patriots were required to train and fight in segregated units. Nevertheless, the Tuskegee Airmen are still regarded as some of the most skilled aviators of the war. This exhibit, on loan from Kennesaw State University, explores the history and heroism of the first African American pilots to fly in combat during World War II. For more information, contact Terrance Hunter by email or phone (407-628-0555). 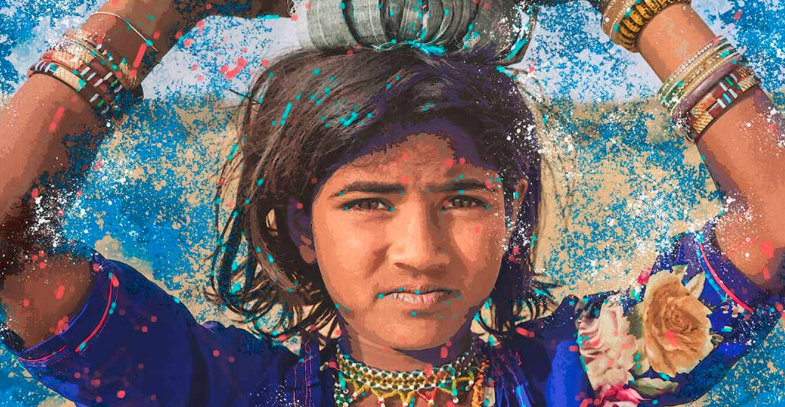 Global Peace Film Festival to Run from September 18 to 24 Central Florida’s annual Global Peace Film Festival, now in its 15th year, will run from September 18 to 24, stimulating thought and stirring action on an array of socially and morally important issues. So plan to take advantage of as many of the films as possible during this high point of Central Florida’s events calendar. The films, the venues, the discussion opportunities—they’re all being finalized so they’ll be ready for you. Check out the GPFF website, where you’ll soon find screening schedules, screening venues, details of discussions and panels and a list of films, their descriptions and much more. Don’t miss out on this highly informative and thought-provoking opportunity. To learn more about how the Global Peace Film Festival came about, and to meet the person whose singlemindedness not only got it off the ground but has kept it going, click here. Not only can you enjoy attending the films, you can also enjoy the sense of satisfaction that comes from volunteering to help. Spread the word about the festival to your friends, neighbors, relatives and even the strangers you meet on the street! Why keep quiet when something so good is there for everyone! Your Tax-Deductible Contributions Greatly ApppreciatedIf you appreciate what’s being achieved by the Interfaith Council of Central Florida and Friends Talking Faith With the Three Wise Guys radio program, we invite you to contribute on a regular basis to these community-based, community-benefitting activities. It may be every month, once a quarter or annually. And it may be a large contribution or small. But whatever it is, you’ll have the satisfaction of knowing that you played a part in helping to make our community more harmonious and peaceful. 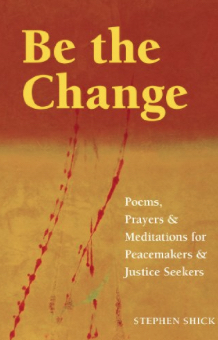 All contributions are tax-deductible and may be sent to: PO Box 3310, Winter Park, FL 32790-3310. Or you can click here to contribute online. Thank you for your help.